Gareth Davies, a founding Director of ESS will be competing in the IRONMAN Wales race, one of the toughest races in the world! The aim is to raise funds for the Mavis Nye Foundation to enable the grants to begin; which will provide financial grants to aid newly diagnosed victims of mesothelioma, short term expenses, along with grants for research labs to pursue the development of new drugs and supporting young Uni Students to become mesothelioma Doctors. Read more about the Charity below and how your kind donations will help! We desperately need to raise awareness on the dangers of asbestos exposure; in Great Britain there are still around 2,500 deaths per year and more than 200,000 worldwide, and most of those diagnosed are given around 12-24 months to live. Even if you are unable to donate, you can still help by sharing this page. Let’s try to get the message as far as we can! Gareth will be doing a gruelling 140 miles in the triathlon and is currently quite terrified; he wanted to do something extreme with the hope that it helps spread the message far and wide, continuing Essential Site Skills fight to help save people’s lives! The Mavis Nye Foundation was created to inspire victims of mesothelioma, an asbestos related terminal Cancer. To give hope to fellow victims and show a light at the end of the tunnel. Aiming to provide a Hardship Fund and support, and Financial Grants to Aid Newly Diagnosed victims of mesothelioma in the UK. Provide short term travel expenses to reach treatment, when unable to claim these expenses elsewhere. To support Young University Students Studying to become mesothelioma Doctors. Donations and Fundraising Events: Without these donations, we cannot begin to help those in need of our support! Gareth Davies: The Event – IRONMAN Wales – One of the toughest races in the world! An Ironman covers 140 miles. An Ironman is the hardest one-day endurance race in the entire world, covering a staggering 140 miles from start to finish. Gareth will begin with a 2.4 mile open water swim…. With a quick transition, Gareth will jump onto his bike and get pedalling on the 112 mile cycle segment, and then finish the day (hopefully!) by progressing onto 'the run'. The name trivialises it a little, as 'the run' is actually a regulation length marathon – 26.2 miles of running after he’s already covered well over 100 miles. There were 2,595 mesothelioma deaths in Great Britain in 2016, broadly similar to the previous four years. The continuing increase in annual mesothelioma deaths in recent years has been driven mainly by deaths among those aged 70 and above. In 2016 there were 2,197 male deaths and 398 female deaths, broadly similar to the annual numbers among males and females in the previous four years. There were 2,025 new cases of mesothelioma assessed for Industrial Injuries Disablement Benefit (IIDB) in 2017 of which 235 were female, compared with 2,170 in 2016 of which 240 were female. Doctors describe how mesothelioma grows and spreads with 4 stages. Patients diagnosed with stage 1 or stage 2 mesothelioma have the most treatment options. Patients with stage 3 or 4 can improve their quality of life with palliative treatments. Clinical trials are an option for patients at any stage. The stage of a mesothelioma tumour describes how far it’s spread from where it first appeared in the protective lining of the lungs, abdomen, or heart. The spread of mesothelioma is known as metastasis. The farther mesothelioma has spread, the later doctors stage the disease. Doctors use imaging tests and biopsies to determine your cancer stage. The results of your diagnosis help them decide which treatments fit your needs, and which will have the most positive impact on your prognosis. Stage 1: There’s no spread to lymph nodes and the cancer is localised to one side of the body. This is the earliest stage. Stage 1 patients have the most treatment options. Stage 2: Mesothelioma is still localised to one side of the body but there are signs of metastasis to nearby lymph nodes. Aggressive treatment options are still an option. Stage 3: The first significant signs of metastasis have occurred. Mesothelioma has spread to lymph nodes and surrounding organs. Surgical options become limited. Stage 4: Mesothelioma has spread to the other side of the body. Treatment options for stage 4 patients primarily involves relieving symptoms. Help us to change and save lives of those affected, please spread this message as far and wide as you can. The further this goes the more lives we can save! ATB are a privately owned Civil Engineering and ground works specialist who can offer a complete package tailored to any project requirement with a friendly approach. We pride ourselves in having great client liaison and our positive attitude towards Health & Safety. 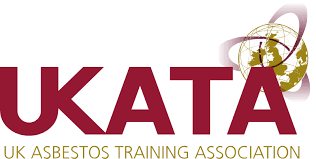 UKATA sets standards in asbestos training and ensures that its members meet those standards. Legislation is continually monitored and the Rules of Membership reviewed frequently in order to maintain the recognised UKATA standard of excellence. Altida provide crane hire of the highest standard 24 hours a day, 7 days a week, 365 days a year. We offer a competitive yet excellent service. A.D. Tyres are a car and van tyre dealer, but also sell commercial tyres, all direct to the trade. With 30 years of industry experience, AD deliver tyres all over South Yorkshire and Derbyshire as well as Nottinghamshire.